Hi everyone, today I am here to write about a styling session I did for my friend Jaya. So Jaya was in India last month on a short holiday and learnt at the last moment that she would also have to attend her little sister's Roka ceremony. She emailed me saying that she had decided to put me in charge of styling her look for the Roka and she wanted to wear a saree. Since, she didn't have much time to shop, we decided that she would wear one of my sarees. 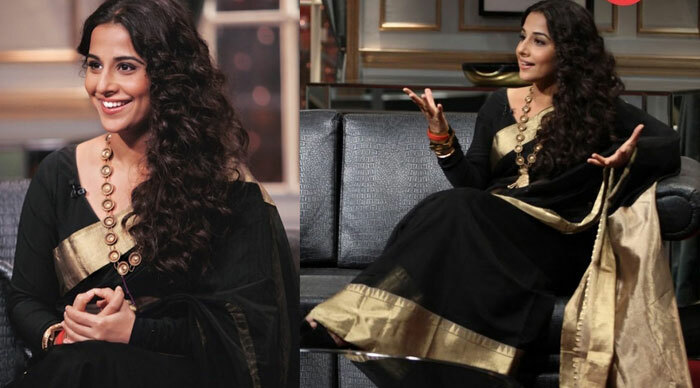 I immediately sat down and started thinking which saree would be apt for Jaya. 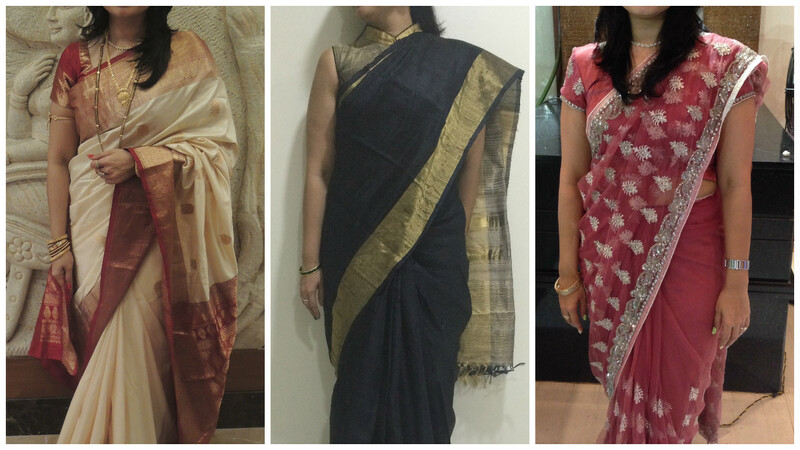 I had three options in mind, my three favourite sarees. Saree 3: The Pink Net Saree. and these are the looks I came up for Jaya. The traditional look with jhumkas and a floral bun. The artsy look with a statement neckpiece and soft curls. The girl next door look with open wavy hair and minimal accessories. Jaya picked the first look which was my fav, the Kanjeevaram look. And though I was keen for her to sport a bare neck and jhumka look, she liked the traditional look I had sported with my long mangalsutra and gold jewellery and decided to mix both the looks. Scroll down to see the final result. Thank you Jaya for the beautiful pictures. You looked utterly gorgeous, and like I promised we are are definitely buying you a Kanjeevaram saree on your next trip to India. Two of your things have always been my favorite... Your 'Saree torial' choice and nail art! Jata looked ravishing! wow, she looks gorgeous. Great job on styling. Simple and minimal is the new trend. Got to wear one soon now..Thanks Aditi ! So nice!! I live bollywood sarees and always search new styles. Thanks for sharing with us. Wow So nice sarees. I like to buy sarees online from these two websites. i like your post !!!! !